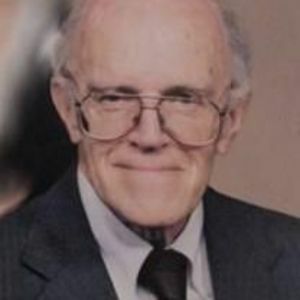 William Fay Durham, 95, died November 28, 2017. He was born on April 19, 1922 in Cedartown, GA to George Fay Durham and Lucille Pennington Durham. He grew up and attended public schools in Cedartown where he was co-valedictorian of his high school class in 1939. He received a two year scholarship to Emory at Oxford before transferring to Emory University in Atlanta, GA in 1943. Bill was a member of Sigma Alpha Epsilon fraternity. After graduation, he was invited back to Emory at Oxford to teach chemistry. He taught for one year before enlisting in the US Navy. In the Navy, Bill was assigned to the 47th Acorn Unit of the SeaBees and landed on the island of Palawan in the Philippines on April 12, 1945. When WWII ended, Bill returned to Emory and earned a PhD in Biochemistry in 1950. He was the second recipient of a PhD in Biochemistry at Emory. After receiving his PhD, Bill received a commission in the US Public Health Service Commissioned Officers Corps. His first assignment was to the CDC Toxicology group in Savannah, GA to investigate possible adverse effects of pesticide use on human health. He was involved in a number of studies on the pesticide DDT, which was subsequently banned in the US. In 1956, he was appointed director of a field station lab in Wennatchee, WA to study the effects of organic phosphate (nerve gas type) pesticides. In 1968, he was appointed director of the EPA research lab in Miami, FL. In 1973, he was appointed scientific director of the EPA research lab in Research Triangle Park, NC. He authored and coauthored numerous scientific journal articles and book chapters. After 39 years in the US Navy and US PHS, Bill retired in 1989. He continued to do consulting work related to his research for the next 15years. Bill also held adjunct professor positions in the pharmacology departments of the medical schools at the University of Washington, University of Miami, University of North Carolina and Duke University. He was a 50-year member of the American Chemical Society, fellow of the American Association of Sciences and member of the American Society for Pharmacological and Empirical Pharmaceuticals. Bill was a member of Rotary International for over 50 years, dating back to 1958, and remained an active member well into his eighties. He served several terms as recording secretary and served a term as president of the Perrine, FL club. He was a Paul Harris Fellow. Bill enjoyed golfing and was a charter member of the North Ridge Country Club since 1973. He is survived by his wife of 70 years, Sara Sudderth Durham; sons, William Durham, Jr. of Key Biscayne, FL and Garland Durham of San Luis Obispo, CA and David Durham of Raleigh; grandchildren, Sara, David and Daya Durham; and sister, Eugenia Magaw and husband, Malcolm of Marietta, GA.
A graveside service will be held 11am Friday, December 1, 2017 at Raleigh Memorial Park, 7501 Glenwood Avenue, Raleigh, NC 27612.